San Francisco’s biggest music festival is set to take over Golden Gate Park for its seventh year next week. This year Outside Lands sold out in record time, within just hours of single day passes going on sale. Those lucky enough to snag tickets will get to bask in San Francisco’s chilly, fog-filled summer days while watching sets from Tom Petty, the Killers, Spoon, the Flaming Lips, Death Cab for Cutie, Macklemore, and the Arctic Monkeys—and those are just the bigger names. Outside Lands nailed the lineup this year, wrangling in artists from all corners of the globe, but they’re also showing their fair share of local love. Here are a few can’t-miss acts that hail right from the festival’s headquarters in the Bay Area. 1. 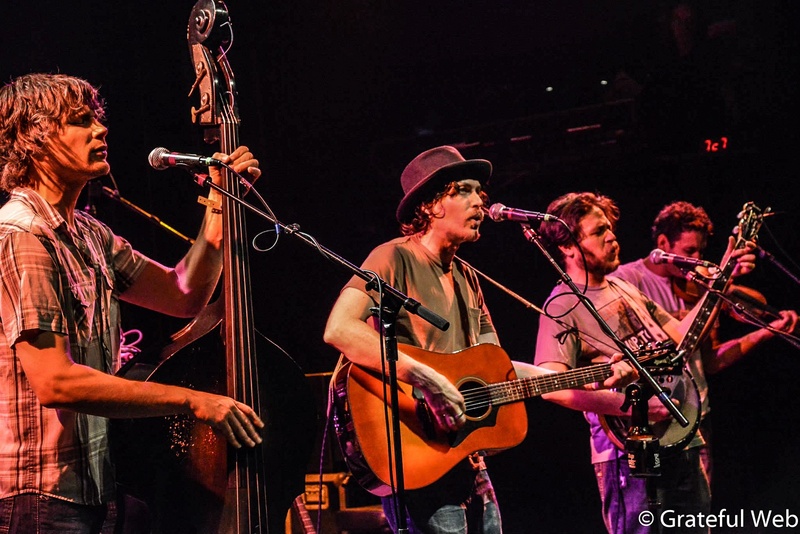 Tumbleweed Wanderers: Since they formed in Oakland in 2011, this chaotic folk-rock group has played everything from dive bars to the elegant Great American Music Hall (which they sold out). Their debut album was produced by San Francisco’s beloved music mastermind John Vanderslice, a sure sign that skipping this group’s set would be a grave mistake. 2. Finish Ticket: Originating from Alameda, these whimsical rockers list 2014 headliners the Killers as their biggest influence, so you can be sure they’ll bring the enthusiasm to next weekend’s set. Bay Area fans have been showing their love since way back in 2010 when they voted Finish Ticket as the winners of Not So Silent Night’s local band contest in 2010, scoring the band a slot opening for Smashing Pumpkins, My Chemical Romance, Phoenix, Broken Bells, and the Black Keys. 3. Nicki Bluhm and the Gramblers: She may have shared the stage with everyone from Warren Haynes to Bob Weir to Grace Potter, but one of Bluhm’s biggest tickets to fame came from her band’s cover of a Hall and Oates song that was recorded in their van between gigs. The video quickly went viral, but anyone living in the Bay Area has been singing the Gramblers’ praises for years. The Gramblers country-tinged classic rock sound landed them a spot at Hardly Strictly Bluegrass last year so they’ll feel right at home back in Golden Gate Park for Outside Lands. 4. The Brothers Comatose: Don’t let their name deceive you; the Brothers Comatose put on one hell of an energetic live show. Complete with an upright bass, a fiddle, a banjo, and even a mandolin, these brothers and their bandmates fully commit to their bluegrass sound. They’ve also been known to take their show into the crowd for a more intimate performance so be sure to come mingle with them at Outside Lands. 5. 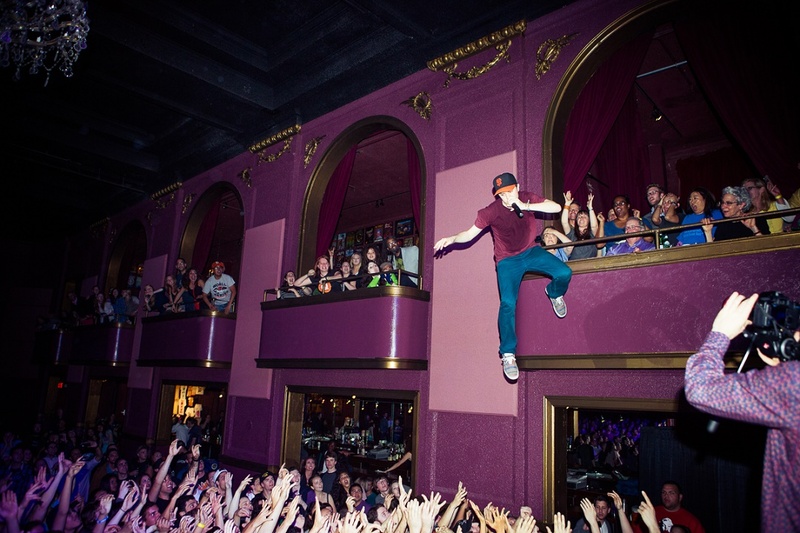 Watsky: San Francisco’s fastest-rising star, Watsky sold out the Fillmore last year and just finished a highly successful run with Warped Tour. The spitfire wordsmith’s second album Cardboard Castles debuted at #10 before soaring to #1 on the iTunes hip hop charts, while the preorder of his third album recently landed at #5. (All You Can Do officially drops August 12.) Listen to just a few lines of one of his songs (pick a song, any song) and you’ll quickly be convinced that Watsky’s the smartest guy in the game. The diehard Giants fan grew up just a few blocks away from Golden Gate Park, so if you’ve been waiting for the perfect time to check out Watsky, his Outside Lands set on Sunday is the place to be. Don’t miss it; chances are he’ll be on the main stage next time. Outside Lands is completely sold out, but if you’ve got a spare $500 sitting around, I advise you to seek out a ticket on Craigslist. From the local guys to the national names, this is one festival that never disappoints.